Knowledge – keeping staff and volunteers up-to-date with trends, evidence and best practice, and also generating our own evidence through grassroots intelligence. Inclusiveness – widening access to our services and the diversity of our staff and volunteer team, and including more people who access Crew services in service development. Fundraising – innovating and identifying new sources of income to sustain and develop Crew services. Staffing – maintaining existing posts whilst developing and funding the roles of volunteer co-ordinator and fundraiser. Communications and digital – maintaining and improving our online resources and developing a strong social media presence. 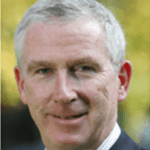 Malcolm Bruce, Chair of the Board of Directors graduated in Medicine, Aberdeen 1980, MRCPsych London 1984 and PhD Institute of Psychiatry 1989. 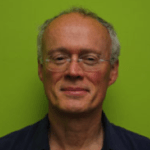 He has further experience in Oxford prior to getting a Consultant Addiction Psychiatrist post from 1994 to 2014, working in a Community Drug and Alcohol Problem Service in Edinburgh. 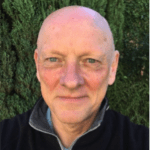 In addition, since 1995, he’s worked with doctors with Addiction and Psychiatric problems, appointed by the GMC as an associate providing assessment and supervision of doctors who have undertakings on their registration, and is now a trainer for new associates. He has been an active BMA trade association member and was Deputy Chair, then Chair, of NHS Lothian Local Negotiating Committee from 2004 to 2014. 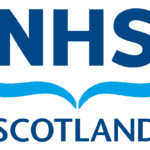 He remains in active practice as a Medical Member of the Mental Health Tribunal Service of Scotland and carries out short locum posts in locations around the central belt in Scotland. Since retiring from his full time NHS Consultant Post he has taken up sailing on the West Coast of Scotland which is a new pleasure for him. Kevin Craik, Finance Director, is currently employed with Alzheimer Scotland, as Director of Finance and Corporate Resources, and has been since February 2011. He has responsibility for the organisation’s corporate services functions, namely finance, human resources, property management and IT. In his role as Trustee at Crew he helps ensure compliance with the relevant legislation, advises on accounting matters and assists with the delivery of the organisation’s strategic objectives and direction as well as corporate governance tasks. 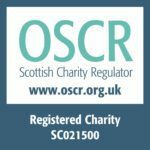 He has always worked in the finance field and was previously with the MS Society, Trust Housing Association, the Institute of Chartered Accountants for Scotland. He also has a trustee role on the Board of Royal Highland Education Trust and of Caledonia Social Care. Emma Doyle has been a volunteer with Crew since 2011 and a Board Member since 2012. In her day job, she works on health inequalities policy at NHS Health Scotland, with a focus on access to health for people who are marginalised. 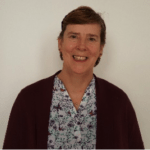 She has a PhD in public health and has previously worked in mental health services in Edinburgh. Emma is passionate about engaging with service users and helping people to make informed choices. She particularly likes Crew’s straight-talking, realistic approach to harm reduction. 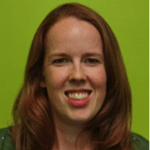 Emma brings considerable experience of volunteering for Crew and knowledge of public health issues and health research to the work of the Board. 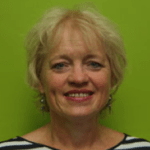 Liz Brodie is a recently retired Lecturer in Mental Health and Substance Use from Edinburgh Napier University. She is a Board Member and currently serves on the Human Resources Sub Committee. Sylvia Day has been a volunteer with Crew since November 2016 and is originally from Newcastle. From being a Drop-in volunteer, she has had lots of essential training, been on most outreach events and made a small presentation at our AGM in January 2018. She is also a Board Member and has been the Volunteer Administrator in the Crew office since December 2017. She is also one of Crew’s Volunteer Board Representatives. I love being part of the Crew family. Richard Muir joined the board in March 2017. He worked in the corporate world for many years and as an entrepreneur running hotels and restaurants in the UK. He spent fifteen years in London on the UK boards of two global facilities management companies and brings considerable knowledge and experience in business management and leadership. Born in Edinburgh, Richard is married with two sons. He enjoys spending time with his extended family, the outdoors, fishing, Munro-bagging and motor sport. Richard also sits on the Finance Sub Committee.